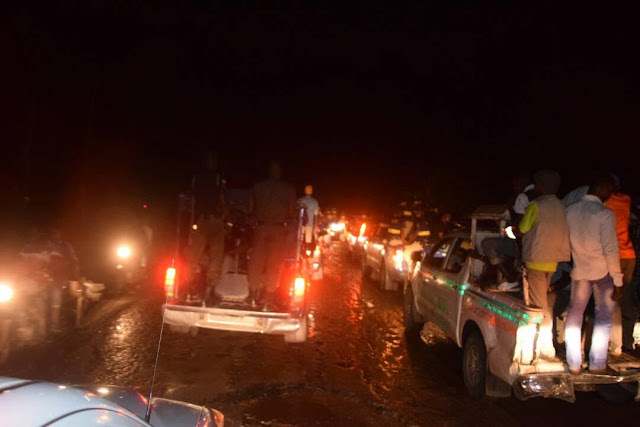 In continuation of its clamp down on suspected Badoo members, Lagos State Police Command, in collaboration with other security agencies and local security volunteers have arrested 87 suspected Badoo members while declaring 20 other people wanted in connection with activities of the group in Ikorodu. The 87 suspected Badoo members were arrested in an all-night operation on their hideouts in Owutu and Odongunyan in Ikorodu. Those declared wanted for cult related killings include: Moshood (a.k.a Mosho); Alfa (a.k.a King of Boys); Papa; Fela; Alakoto and Chukwudi. The police also declared 14 others wanted for kidnapping in Ikorodu. They include: Agbara; O/C; Femi (a.k.a FM); Pencil, Odidan; Jaru; Allen; Bush; Happiness; Fagbo; Junior; Nuru and Jamiu. The police called on the suspects to come out of their hideouts and report themselves to the nearest police station. The Command equally advised members of the public with useful information on the suspects who are all residents of Ikorodu to assist the police. The raid was an extensive operation on the two areas – Odongunyan and Owutu. The operation was necessitated by more intelligence on the membership of the dreaded cult group and their mode of operations. Before the operations, the police in conjunction with members of the Department of State Security Service, representatives of the Nigerian Army, Lagos Neighbourhood Security Corps and Odua Peoples’ Congress (OPC) met with herbalists and Babalawos in Ikorodu and its suburbs on the need to collaborate with the police to wipe out the cult group in Ikorodu. 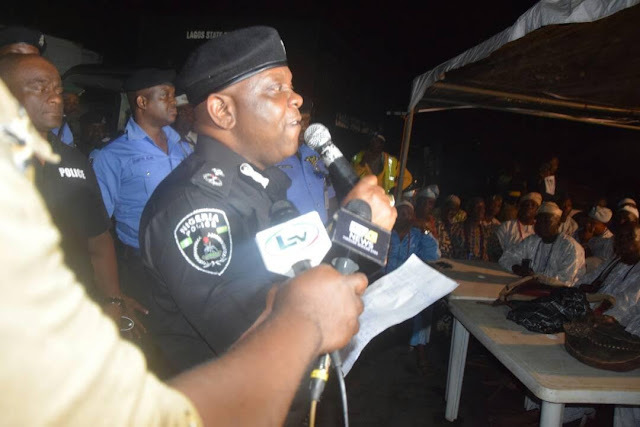 Representing the Lagos State Police Commissioner, CP Fatai Owoseni at the meeting, Deputy Commissioner of Police, DCP Imohimi Edgal warned the herbalists and Babalawo and local vigilantes to eschew jungle justice, stressing that the Command would not tolerate further excesses from the security stakeholders. Edgal solicited for more information that would help the police to speedily end the activities of the group in the area. 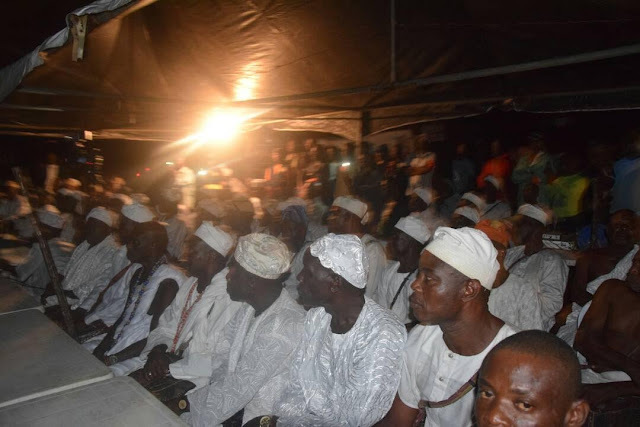 The Police Commissioners later met with Obas and traditional rulers in Ikorodu. Also involved in the exercise were the Commander, Rapid Response Squad (RRS), ACP Olatunji Disu; Acting Area Commander, Ikorodu and all DPOs in Ikorodu among other senior police officers. Well done!…please don’t relent in your efforts to wipe out this menace called Badoo cult, no matter what it takes, those mentioned that are on the run will never know peace, because there is no peace for the wicked. Good job,Security conscious in the state very essential.